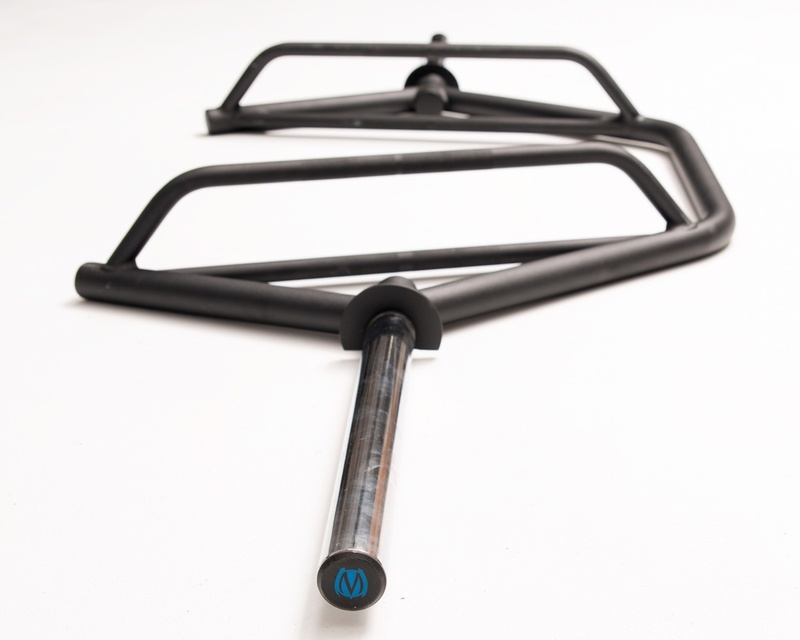 MoveStrong's unique patent pending design to the traditional Trap bar allows for more exercise variations in performing Deadlifts, Squats, and Lunges. 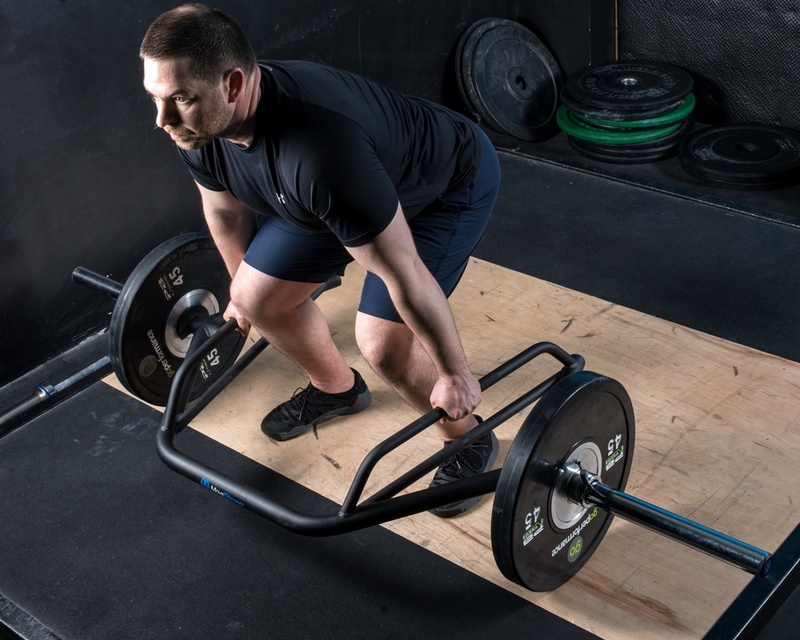 The DSL Bar open back design provides room to perform single leg exercise variations and loaded carries more efficiently. Ergonomic handle angle design makes for more comfort in holding bar with netrual grip while lifting. New features on the DSL Bar included chrome plated weight horns to help reduce wear on bar from adding and removing plates. Improved spacing between upper and lower handles along with knurling and center mark to designate middle of handle for lifting in balanced position of the bar.